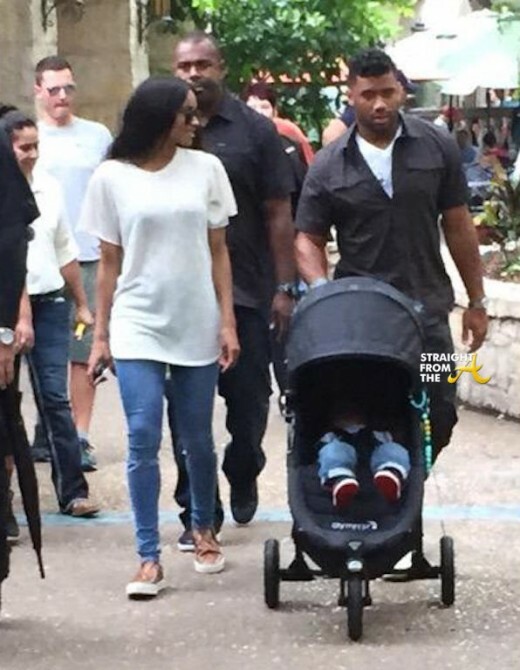 Ciara and her rumored ex-boo Russell Wilson were spotted taking a leisurely stroll along River Walk in San Antonio, Texas over the Memorial Day holiday with her 1 year old son, Future in tow. While CiCi put break up rumors to bed via an instagram posts a few days ago (click HERE if you missed that), it was a fan photo of the couple that squashed any further rumors that Ciara and Wilson have called it quits. Ok… great. Ciara still has a boo, but some are already judging her for ‘moving too fast’ by adding baby Future to the mix, but like they always say… ‘the only way to get over someone is to get under someone else.’ Future did it, right? Whatever the case, CiCi has a lot to celebrate. In addition to her flourishing new relationship, she’s also got a hot new Roberto Cavallli campaign that’s been released.